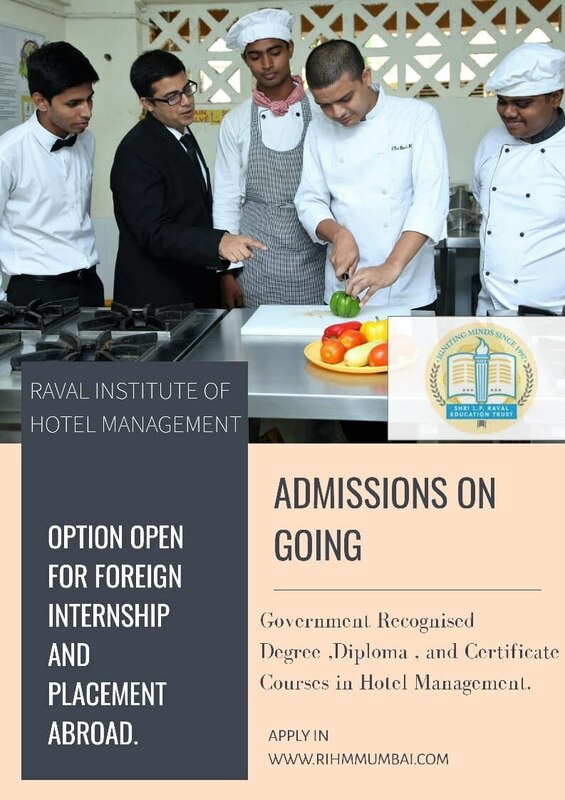 Admissions are open for government recognised Degree Diploma in Hotel Management in Mumbai B.Sc Hospitality Studies from Government Recognised University in Mumbai. We provide Excellent Placement assistance. Option open for foreign internship and Education Abroad.